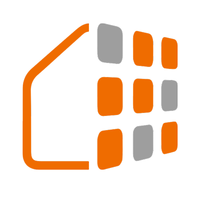 ActionTiles™ lets you create "dashboards" to view and control select SmartThings devices in your account. ActionTiles is a "web-app" which, like IFTTT and Amazon Echo, uses SmartThings's official OAuth Authorization process to install a SmartApp to connect to your SmartThings Account, Location, and Things. Start at app.ActionTiles.com. 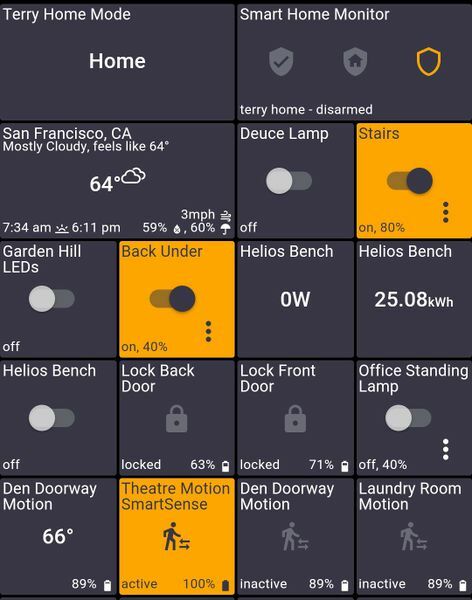 ActionTiles dashboards (called "Panels") are considered a partial alternative graphical user interface, in place of the SmartThings native mobile Apps. ActionTiles evolved from the SmartTiles project, but is owned by a new company (Thingterfaces LP) formed by the original developers. Various feature improvements on various Tile types. Battery level included on the Tiles themselves so Battery Tiles not required (but still available). Dimmer is a highly granular slider control drawer instead of just 10 levels on the Tile. … etc. * Custom CSS not available at launch. We are looking into more “user friendly” customization options. This page was last edited on 21 June 2017, at 22:18.